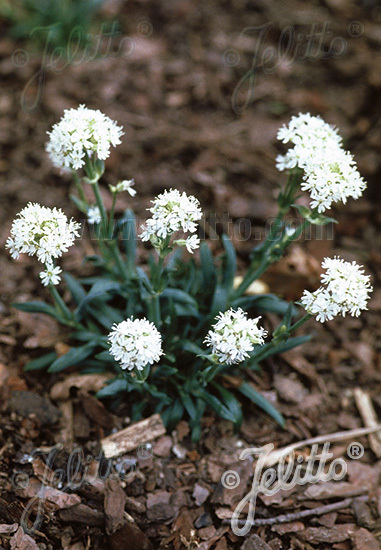 Special Features: Snow white flowers in great abundance on short stems rising above tidy tufts of slender leaves clustered in neat rosettes. Easy-to-grow. Full sun in cool summer climates to semi-shade elsewhere. 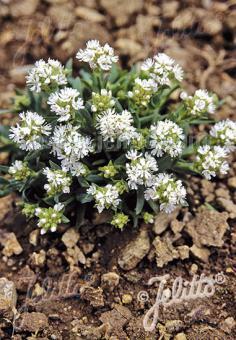 Historical: Introduced by JELITTO PERENNIAL SEEDS in 2000. Vernalization: There is no current research on vernalization but a prudent recommendation for any perennial would be 6-12 weeks (a few might need 15 weeks!) at an average daily temperature of 40°F (5°C). Exposure to cold may not be necessary for flowering but might improve quality. Forcing: This species is not a suitable candidate for forcing.